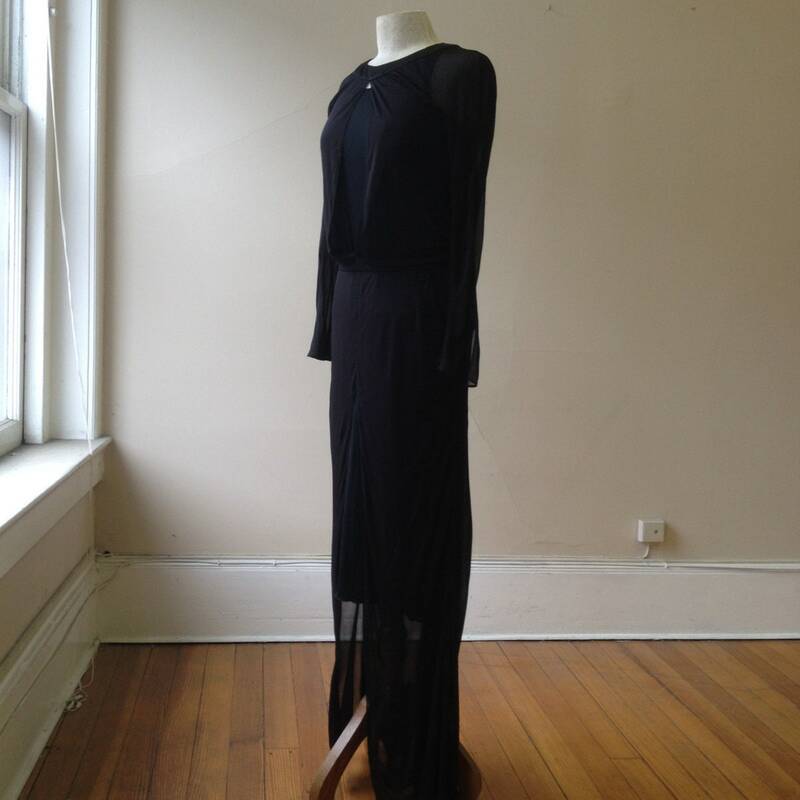 1990's, CHANEL 34" bust, black chiffon gown, with full length silk jersey slip Gown has open round neckline with long slender sleeves. Bodice has open V at mid section. 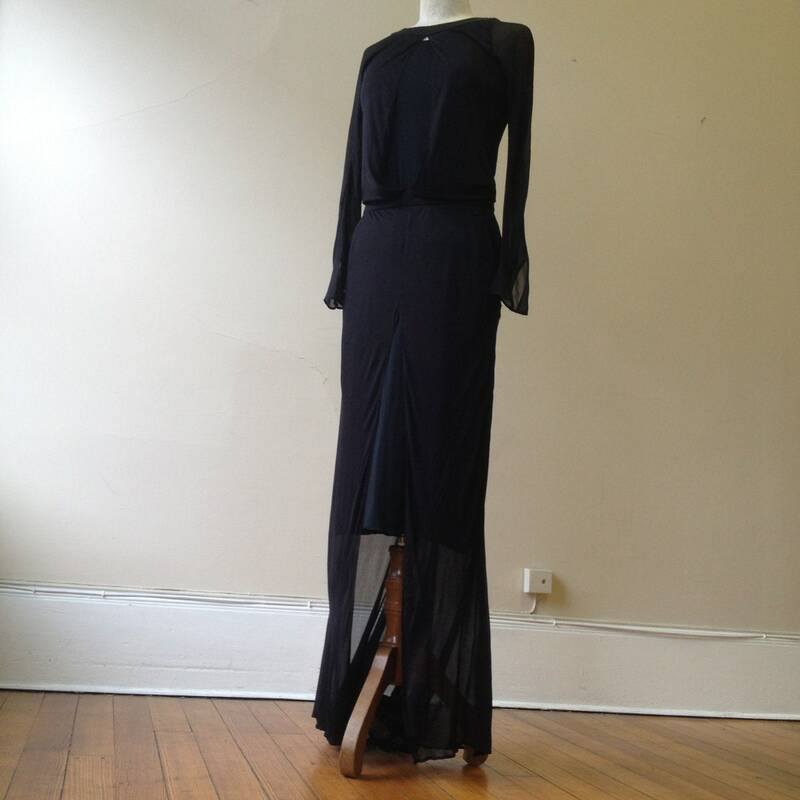 Skirt is long with front slit. 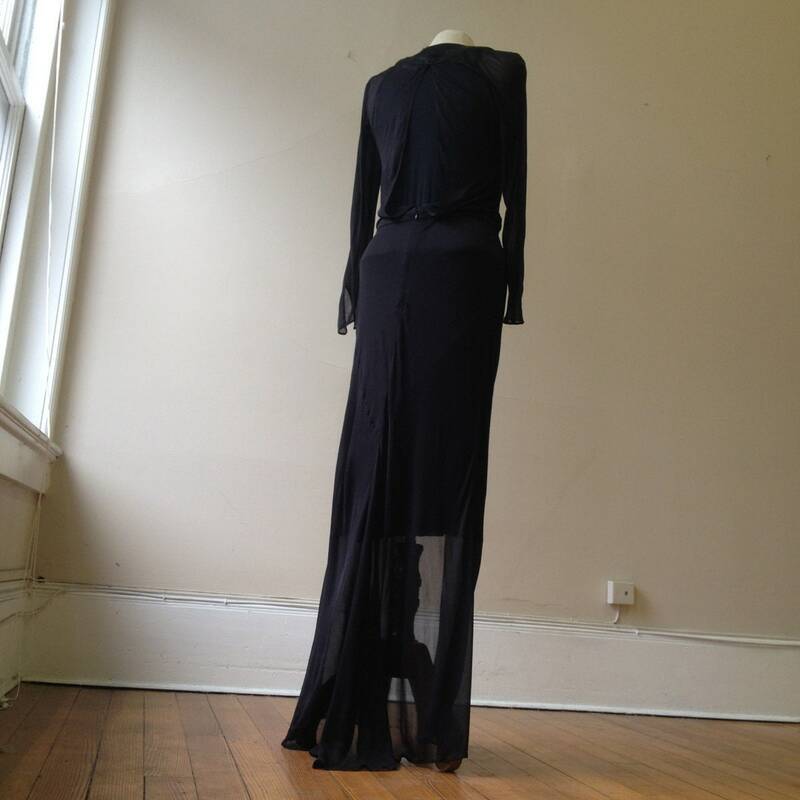 Gown is fasted in back with a button at back of neck, and a zipper at back of waist. slip has a round neckline, sleeveless, and is 3/4 the length of gown. Gown is train backed. 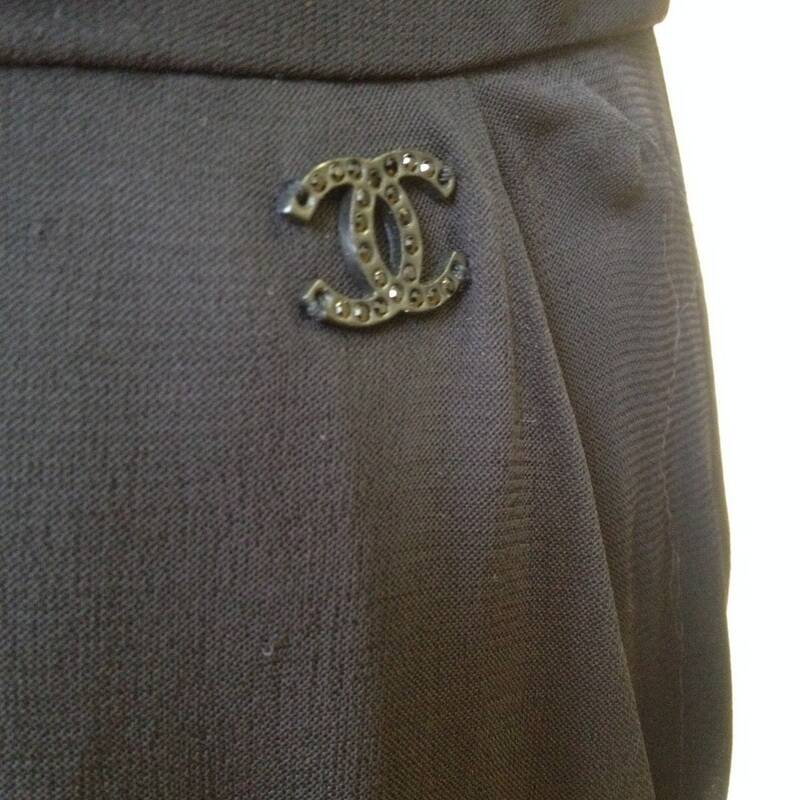 Label reads "Chanel" , double c.f. mark at waist. Shoulder to hem front 43"
Shoulder to hem back 48"